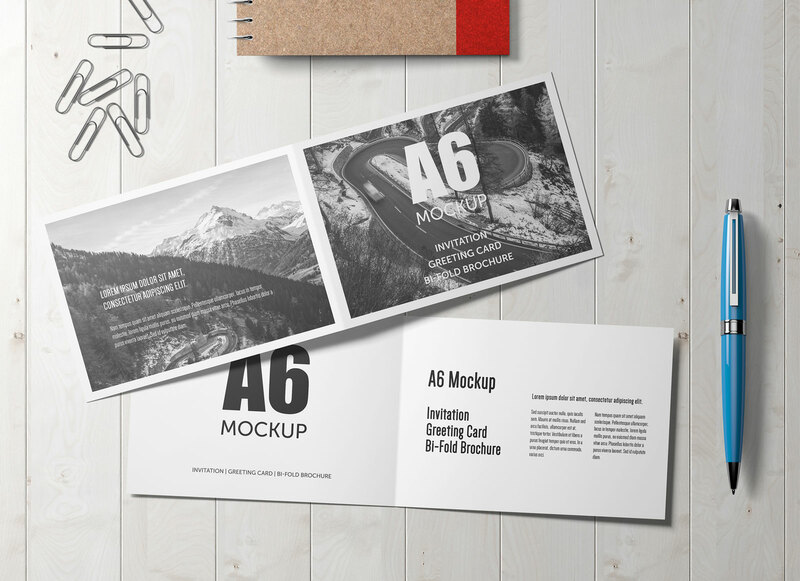 A premium quality landscape A6 bi-fold brochure mockup placed on a wooden background along with some desktop accessories. 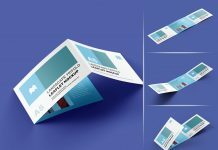 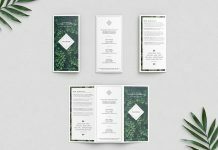 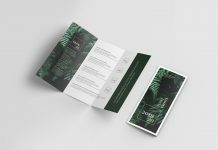 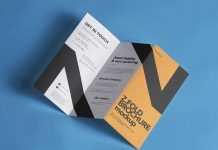 You can use this brochure mockup to showcase invitation card, greeting card, brochure design, product based leaflet or pamphlet designs etc. 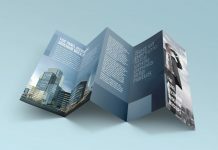 All psd elements are isolated so easily change their place and make your own composition. 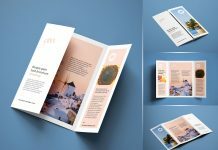 There are 7 different premade effects placed on the top of the layer panel you can use any one of them if you would like to give your brochure design a cool and warm look. 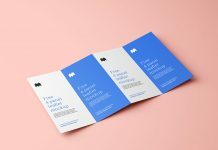 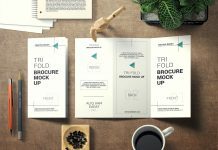 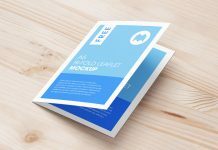 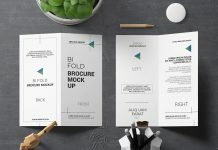 For more brochure mockups visit our branding section, if you are a new user then do not forget to subscribe to receive free high quality mockups on email. 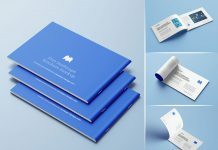 Unsubscribe anytime, it is that easy.